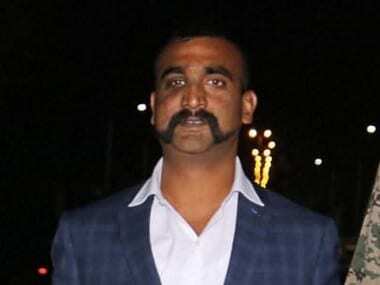 New Delhi: The Defence Ministry has doubled the monthly allowances for Gallantry Award winners, including for those who won the awards before Independence, official sources said on Wednesday. For certain pre-independence awardees, the increase is more than double. A notification for increased allowances with retrospective effect from August 1, 2017, was issued on 4 December. The monthly allowance for post-independence Param Vir Chakra awardees will now be Rs 20,000, and for Ashok Chakra awardees Rs 12,000. 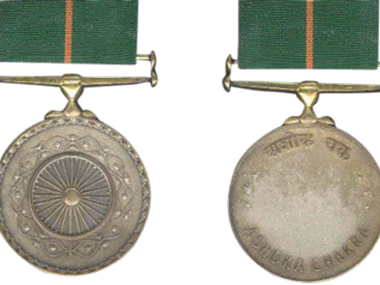 Maha Vir Chakra awardees will now get Rs 10,000, Kirti Chakra Rs 9,000, Vir Chakra Rs 7,000 and Shaurya Chakra Rs 6,000. 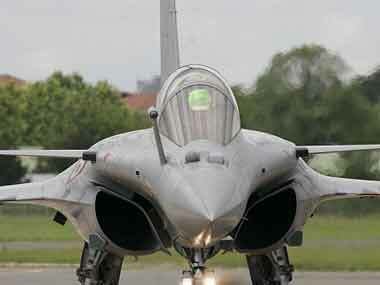 Winners of Sena, Nao Sena and Vayu Sena gallantry medals will get Rs 2,000 as monthly allowance. For pre-independence awardees of Jangi Inam, the monthly allowance will be Rs 1,000. Winners of Distinguished Service Order, Indian Order of Merit and Indian Distinguished Service Medal will now get Rs 8,000 per month. Pre-independence winners of Distinguished Service Cross, Military Cross, Distinguished Flying Cross (for officers), Distinguished Service Medal, Military Medal and Distinguished Flying Medal (for other ranks) will now get Rs 6,000 instead of Rs 2,800 per month.